Over the years my knowledge of HTML has progressed from XHTML and HTML 4.0 through to HTML 5. Always exploring the new features, APIs and tricks to explore and use to make the most out of the web. The new features of HTML5 which I'm more excited about include WebSockets, LocalStorage or AppCache. Whilst PHP has been always my 'weapon of choice' over the years, of course it's not the only language I used, particulary since I'm a great advocate of 'choose the right tool for the job', I would say however that it's the back-end language that I'm most comfortable with. Mobile browsing has grown exponentially on the last months, what began as a trend has become a necessity and nowadays I try to build responsive and/or fluid websites that can have different layouts depending on the type of screen is viewed on. This is particularly important now as screens have diversified so much - no longer just mobile or desktop - mobile and tablet screens vary widely and modern layouts need to be able to adapt to any screen size whatsoever. Knowing how to handle, provision and manage servers it's a very important skill on web development, for this reason I try to stay up to date to the most efficient way to handle this processes. Using Composer is one of the best ways to handle external libraries and dependencies of your project. Other tools like Vagrant or Puppet can be very handy too, especially if you have to handle and provision several instances or servers at the same time. 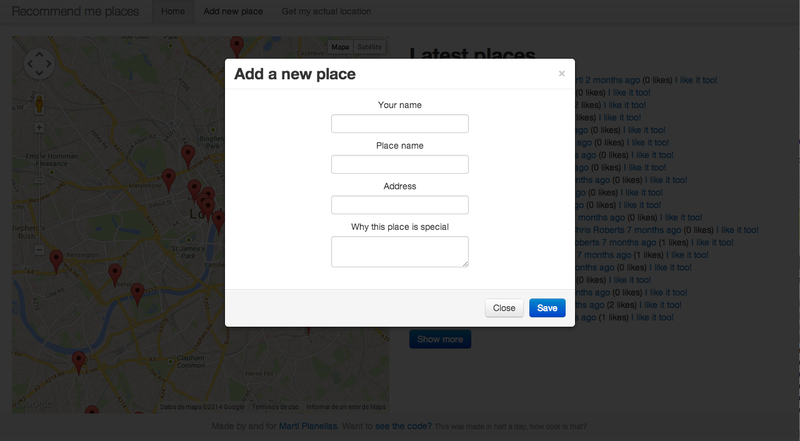 Good user interface has become a major area of consideration in my work. Being able to affect the concept of a website before and after the wireframes and design its crucial to building an interface that is both comfortable and engaging to the user. I feel that the every layout decision when it comes to designing a website needs to have a functional consideration to it, not just an artistic one. Its for this reason I enjoy meeting and discussing with designers the best approach to a given design decisions and the technical limitations that might interfere. Build with the d3.js library - each band was represented as a circle or bubble. The radius of its bubble was tied with the ‘buzz score’ of the band which varied depending on how much people were talking about that band on twitter. There were also different filters you could apply to the bubbles to change the point of gravity and separate them depending on the genre of music, the top 5 bands or even transform the bubbles into points of a dynamic chart. By doing this you could compare factors like tweets, mentions, followers or hashtags, all of these updating with real time tweets. 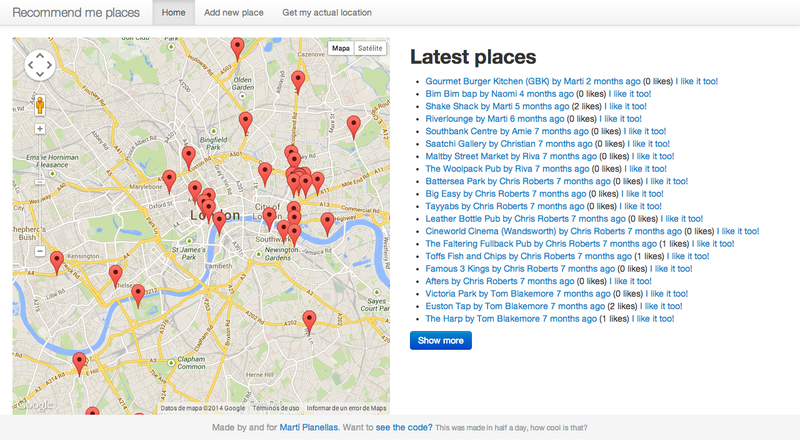 It's an application build with Meteor and created when I first got to London, so that people could recommend me interesting places to go, eat, or see etc. Checkout the code in Github! Message sent! Thank you for your message, I'll get back to you ASAP! Something went wrong! Sorry for the inconvenience, please try me on any of the social networks above.